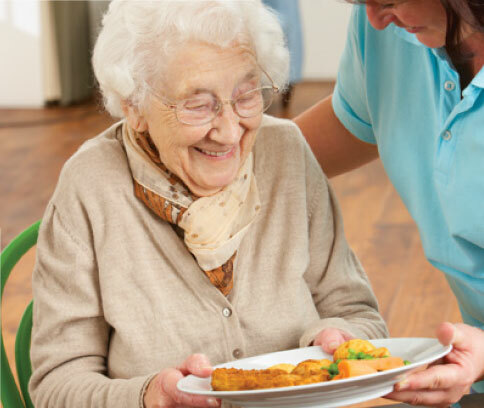 Norse provide Care Catering in many Norfolk Care Homes and our main priority is creating a comfortable and sociable mealtime experience for residents as well as serving delicious, quality food. Our menus are developed following extensive feedback from our customers and their families to ensure we are providing favourite dishes such as Lamb Hot Pot and Gammon and Egg as well as encouraging new tastes and flavours. Working closely with our local suppliers is imperative to the success of our care catering provision; our kitchen teams understand the significant role high-quality ingredients and home-style cooking contributes to the health and nourishment of our residents. To find out more about our local suppliers, please click here.